We have taken a relaxed approach to Men's Ministry at the Winterset Foursquare Church. It seems that every relationship a man has places demands on him. We want to provide an opportunity where men can come together on a monthly basis without any expectations. It is in this environment that men are free to share from their heart and experience solutions to life issues. There is no way you can bring men together without involving food. A big part of the men's meeting involves fellowshipping together around the grill, all year 'round. It is not all fun and games, though. The men are encouraged to step up and take the lead in ministry within the church family. Sometimes that ministry gets down and dirty as they work together, helping each other and those in need. 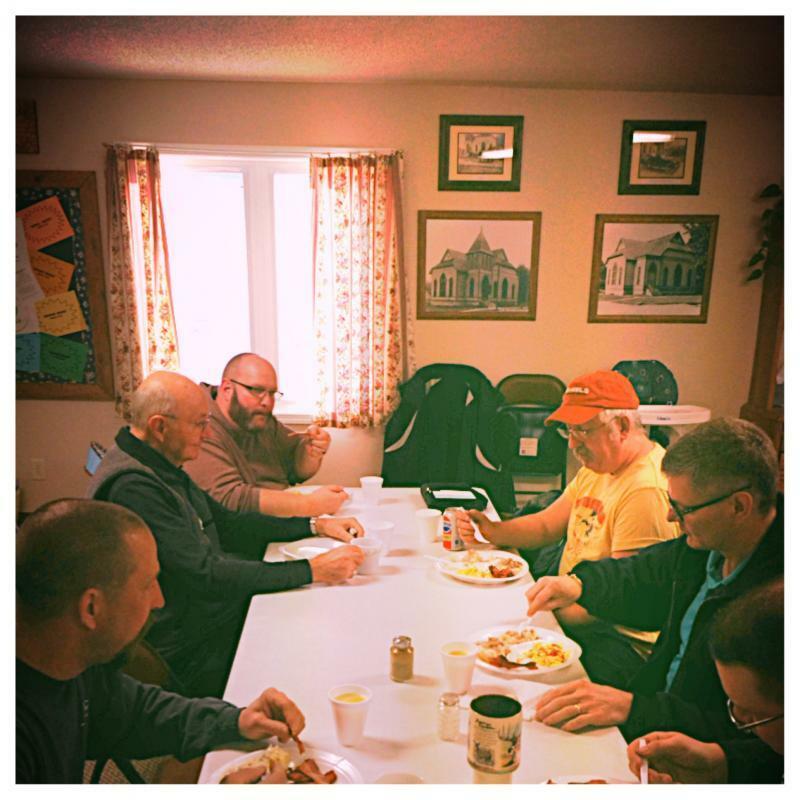 Whether it is a roof, a car repair or a house remodel, the men's ministry takes on all kinds of shapes.